Who lives here: An active family of five, with three children under the age of 10. 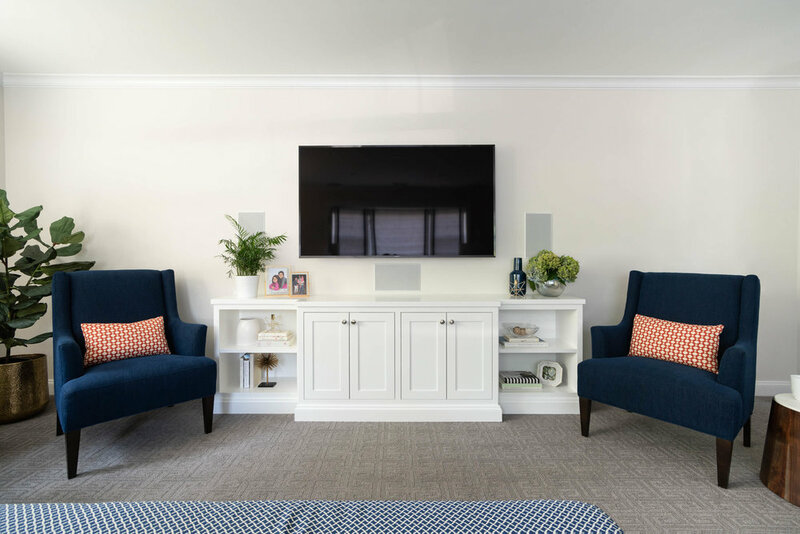 We were hired to create a comfortable space that would work just as well for movie nights as it would for a Super Bowl party. 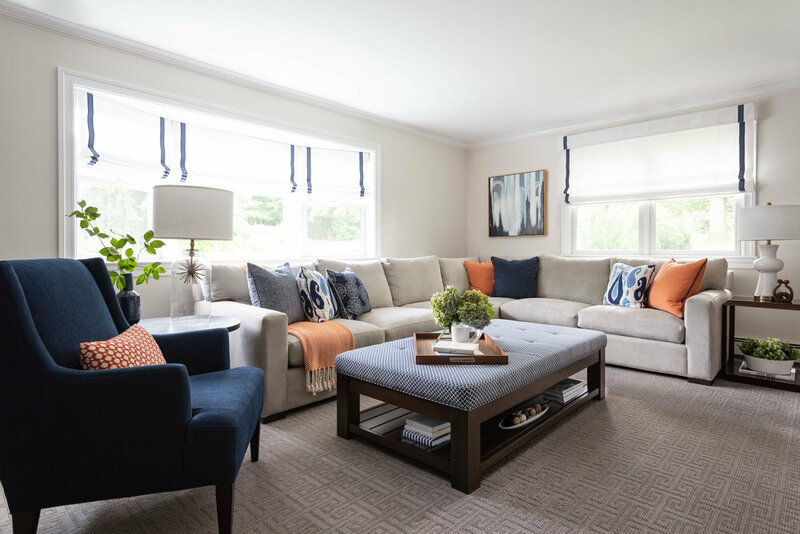 We started with environmentally-friendly wool wall-to-wall carpeting with a Greek Key motif, and added in an oversized sectional and a custom coffee table/ottoman for maximum seating and comfort. 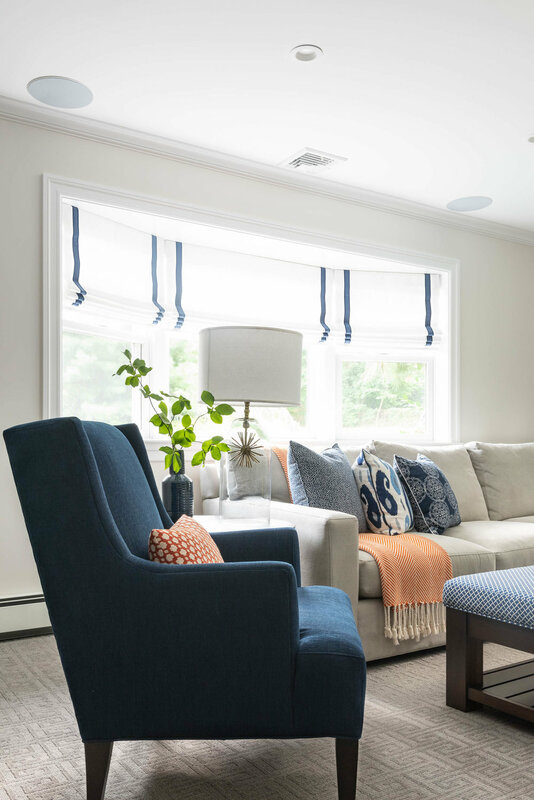 A custom entertainment center was built-in to the facing walls, and navy blue chairs and orange accents were added to maximize the contrast in this family room!